1st class FREE , $80/ month for 2 classes/ week. 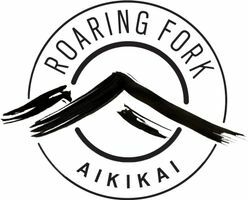 Roaring Fork Aikikai's children’s aikido program teaches children between the ages of 5 and 14 the basics of aikido self-defense. Just as importantly, students develop improved listening skills, focus, discipline, and self-confidence. Our aikido school is a terrific environment to learn, share and become a member of a vibrant community of kids and adults. Students in the program will get lots of physical exercise, learn basic aikido techniques, and develop a sensitivity and patience towards other students. Aikido as a martial art is about harmony and cooperation, therefore, there are no competitions or trophies. Kids naturally respond to the joy and creativity of Aikido, the "Art of Peace", developed by martial arts master Morihei Ueshiba. He said, "The purpose of the Art of Peace is to fashion sincere human beings; a sincere human being is one who has unified body and spirit, one who is free of hesitation or doubt." Children are welcome to come and watch a class at any time to understand a little about what we do and what aikido is. Our children's aikido classes are a lot of fun but are to be taken seriously. Kids' classes offered twice a week on Tuesdays and Thursdays.